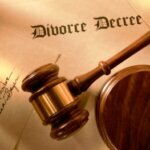 Divorce proceedings can leave you extremely distressed. 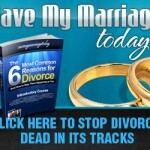 You often visualize how the transition from “married” to “divorced” woman will take place. If you had taken your spouse’s last name at the time of marriage, you will not be allowed to use your pre-marriage last name or maiden name legally again after divorce, though you may start using the maiden name informally. There is no denying that it can be emotionally and practically wrong idea to use your ex-husband’s surname ever after divorce. Thus, it is worth taking all those efforts and time to change your name to maiden name formally. There is a specific process set by the federal law that one needs to follow in order to revise her or his name after divorce. You can legally change your last name during or anytime after divorce procedure; however, the process can be simpler, faster and less-expensive if you choose to complete legal name change during the divorce procedure in the court. You just need to notify your divorce lawyer about your name change decision before they begin with the court procedure. 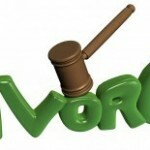 Add name change request in your petition for divorce. You need to file a petition in the divorce court requesting the judge to add a formal order, which will allow you to legally restore your previous surname or maiden name once the divorce is finalized. The actual procedure may slightly vary from state to state. You can request the court clerk, where your divorce case is filed, to provide you with name change form; the form name differs in each state, thus it is advisable to consult your attorney or name change service to ensure if you have received the correct form. You can also confirm with the court clerk for the same. Once you have the name change form filled in with the help of your attorney or the court clerk. Next, you need to submit the form during your divorce proceeding. If the court sanctions your divorce with a court order for your name change application, your main and most important job ends here. Once you have the court order for changing your married name to maiden name, you can use it to update your name in all important documents including social security card, driver license, passport, post office, bank accounts, credit cards, voter registration and professional licenses to name a few. You may also need to change your married name to maiden name in your social media accounts too. To streamline the entire name change process, you can make a checklist of all entities where you need to change name. If your divorce procedure is completed but the divorce decree doesn’t have a court order for married name change, you will need to follow below steps. You can talk to your divorce attorney if there is any possibility to get the final court order changed such that the language in new order reads that the court permits you to legally change your name after divorce is finalized. Yet, if the final divorce papers you receive from the court don’t contain name change order, you will need to follow below listed steps. If your divorce is finalized and you didn’t processed for name change that time, you can still change your name any time later with your state’s normal name change procedure. Every state has its own set of requirements and guidelines that need to be followed. 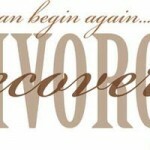 But if have decided to going back to the last name you had before marriage, the process will be straightforward. In order to learn about your state’s requirements for name change after divorce, you can visit the court’s website. To complete this married name change process successfully, you will need documents that has your old name mentioned on to them. Here it is worth noting that your name change process can be a bit more complicated if you want to adapt a whole new surname after divorce instead of choosing the previous name you had before marriage. Some states also have a practice of querying the applicant on why they want to change name. Majority of states in the USA asks you to fill out name change petition. Collect the required forms from your state court’s office. These forms will have fields about your personal information like your name and address. You may also spot a field asking to mention you the reason for name change. Here you can simply mention you want to change your name back to your pre-marriage name, or maiden name, after divorce. Once your forms are ready, get them signed and notarized at the court; you need not to take prior appointment for this. You just need to ensure you reach court within their normal work hours. You can also get your name change petition notarized at a bank and take it to the state’s court’s office then after. Submit the signed petition to the court’s clerk office. When you file signed petition, get a dozed of its copy with you as you will need them later. Not all states require hearing for name change procedure, but some states do. The clerk you have submitted the signed petition to will update you if you require to attend court’s hearing for your name change order and when. In divorce case, you just need to tell judge that you need to go back to your maiden name due to divorce. Once hearing is completed, the clerk will provide you with judge approved name change order. When you receive this name change order from the court, get a few certified copies of this order. It may cost you $10-$20 per copy. You will need this certified copy as an official proof of court’s name change order when you will visit other government and non-government offices for name change procedure. Several states in America need you to give an ad about your married name change in a public newspaper before you get the court order for the same. You will get to know about this during your hearing whether you need to publish your name change in a local newspaper or not. In some states, you may be requested to post your name change article on an official bulletin board of the courthouse or any other public place. Once you have certified copies of your official name change order from the court, you can begin name change for social security card, driver’s license, passport, banks, IDs, or other documents. There are also professional name change agencies that can help you make the job easier and faster by charging very nominal fee.